Tributes have been paid to supermarket tycoon and Yorkshire farmer Sir Ken Morrison, who has died aged 85. Sir Ken, who took over from his father William in 1952, helped grow Morrisons from two market stalls in Rawson, Bradford into the UK’s fourth largest supermarket. A keen farmer, he ran a flock of Texel crosses and 1,000 head of beef cattle at his home in Myton-on-Swale, North Yorkshire. He died peacefully there after a short illness, his family said in a statement. “Sir Ken was, of course, a unique figure in the history of grocery retailing in the UK, for more than half a century being the driving force at the heart of Morrisons as it grew from two market stalls to become one of the UK’s largest retailers. “But to us he was a greatly committed and loving family man, as inspirational and central to us in our daily lives as he was in the business. “He showed us all the importance of aiming high but never forgetting the practicalities of life and the humanity of those we deal with. Sir Ken retired from the business in 2008 and concentrated on farming. He was also deeply involved with the Yorkshire Agricultural Society and regularly attended the Great Yorkshire Show. 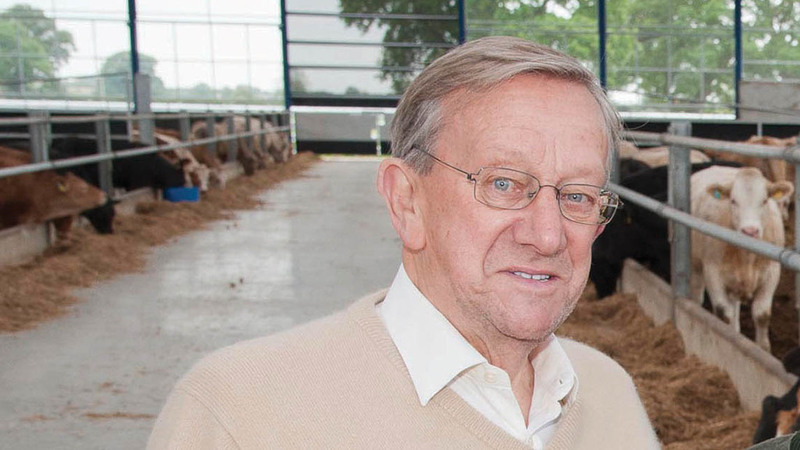 He championed the Shorthorn breed and in 2012 was instrumental in setting up the Morrisons native breeds’ scheme, which saw native cattle prices increase as a result. Tributes have continued to pour in for Sir Ken on social media. Sad news about Ken Morrison. He was the nicest, kindest CEO I’ve ever met. And a man of his word. A handshake was his bond. Sad news about Ken Morrison. He was the nicest, kindest CEO I've ever met. And a man of his word. A handshake was his bond.